StumbleUpon is one of the most popular online news discovery social sites that pride itself for its simplicity, reliability and great relations to its users. With it you can discover, talk about, and rate new websites, videos, and photos, who are all sorted into their own sections of the site, making them easy to find and consume. Discover interesting web pages! To make your experience easier, you can install toolbar extensions for all popular web browsers (Frefox, Google Chrome, Opera and Internet Explorer) that will provide you instant access to StumbleUpon’s cloud service. StumbleUpon is a very popular web search engine that has the primary goal of recommending people what new sites, blogs, videos and online destination are compatible with their interests. 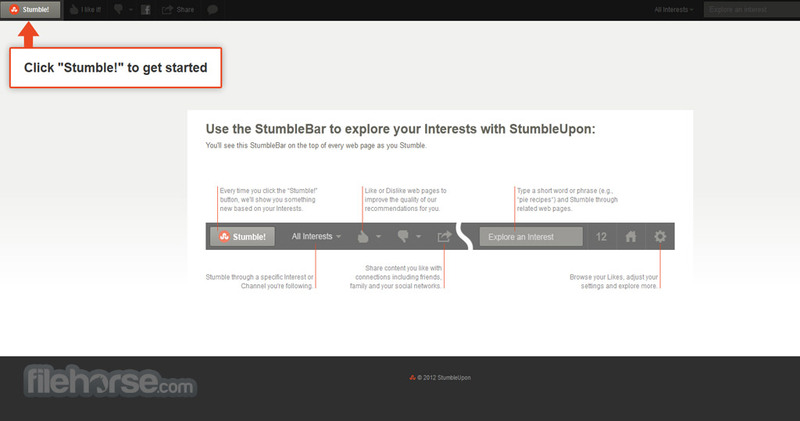 Combining that with the ability of users to bookmark and rate everything they encounter on the internet, creating their own bookmark database, StumbleUpon managed to attract more than 25 million registered users that are adding more than 1 billion “Stumbles” (equivalent of “thumbs up”) to this cloud powered service each month. Established in 2002 by Garrett Camp & Geoff Smith, StumbleUpon was briefly sold to eBay until its founders managed to re-buy their company back. As one of the prime examples how social bookmarking service can be popularized and enabled to enrich users browsing experience, StumbleUpon continues to grow, managing with each year to expand its influence. 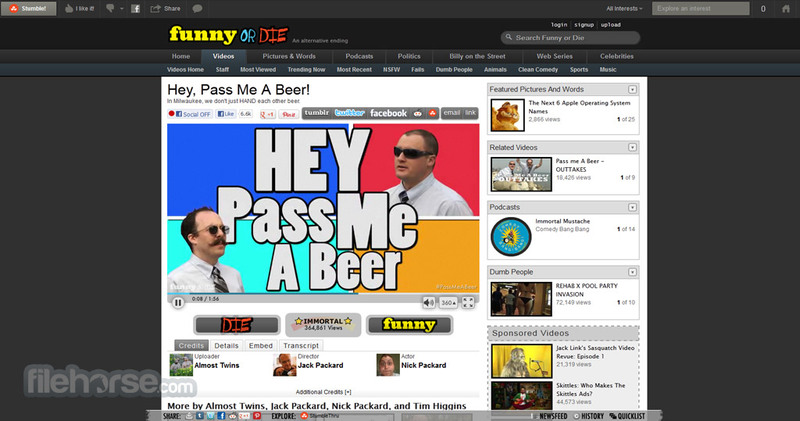 The most notable examples of such expansion are sites StumbleUpon Video which aggregates most popular videos from all famous internet content providers (Vimeo, YouTube, DailyMotion, CollegeHumor and more), StumbleThru for easier interaction with some of the most famous sites on the internet, and Su.pr, their own integrated URL shortening service. StumbleUpon enables users to find anything they want, searching through the database that was built by the dozens of millions of people over the past 10+ years of site existence. Powered by the industry-leading cloud search engine and the personalized recommendations from users themselves, no matter what you want to find, StumbleUpon will give you suggestions where to find answers. Additionally, you are encouraged to recommend pages yourself, thus saving them into your own bookmarking service where you can build your own list of favorite sites. Sites can additionally be ranked with scores. What differs StumbleUpon from les say Google or Bing search engines is that here you can set your criteria of search (category of interest, keywords, tags, names, dates, locations), and then it will offer you most popular and most relevant websites that were recommended by other people. After a while when StumbleUpon server figures out your interests, it will start recommending you brand new online destinations that you can explore and learn from. Discover interesting web pages! Since it launched in 2002, StumbleUpon has made several large changes to its UI and features, enabling more streamlined and easy discovery of content. Its latest version has very modern look with dark bar on the top that holds the main tools for navigation (Your Interest, Activity, Trending, search field), and the main area is filled with content entries that are showcased with large thumbnails, text description and community activity showcase. This simple user interface enables everyone to easily explore the wealth of content that is showcased in every corner of StumbleUpon, no matter what device and screen size they are using. Simply search for something, and within seconds you will explore new area of the internet. 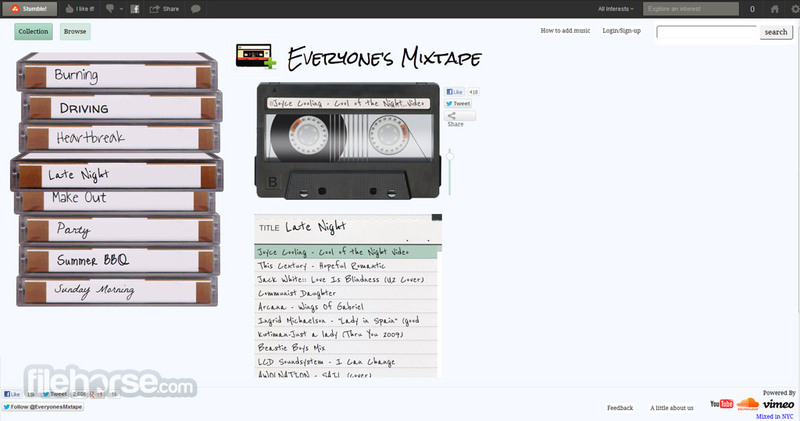 StumbleUpon is a 100% free website, allowing everyone to create account for free and explore all its features. Registration process can be done in two ways – either by providing a valid email address, or by clicking on “Connect with Facebook” button if you have account on that popular social network. Discover interesting web pages! StumbleUpon is currently one of the top 150 most visited websites in the world, proving to everyone that it vast database of online content can give dozens of millions of people service that they can’t find anywhere else. No matter if you will spend a minute or an hour browsing StumbleUpon each day, you will most definitely discover something new and interesting that will make you come back tomorrow.